5 Star review on our luxury cruiser. Fantastic to see our customers going home from a 2.5 week trip very happy and satisfied. 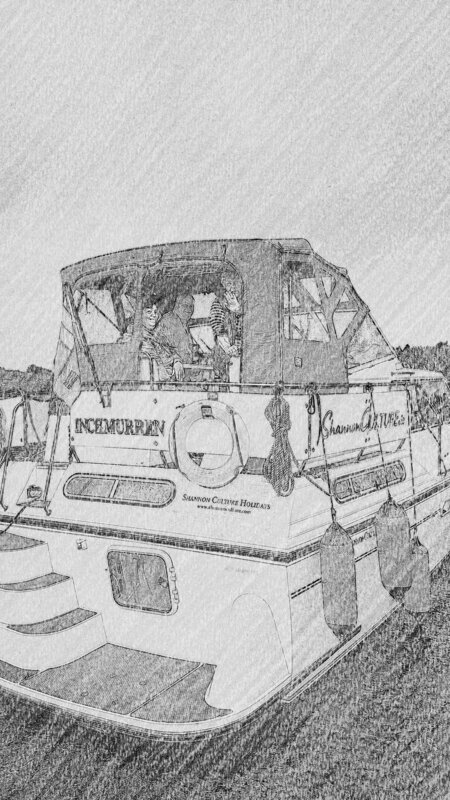 Perfect two and a half weeks holidays on the river Shannon with boat INCHMURREN. Best service without any problems. We three enjoyed the cruise very much! We'll come back sooner or later!!! Neu zu unserem Hausboot - Glasson Lass. Hausboot in Irland - 10% Rabatt vor dem 31. januar!